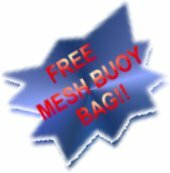 If complete set is purchased as shown above, the mesh bag is free. The set is completely ready to use. 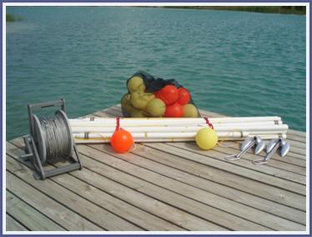 The only thing that you do before using the course is inflate the buoys. They are shipped deflated. There is no sales tax if shipped outside of Texas.